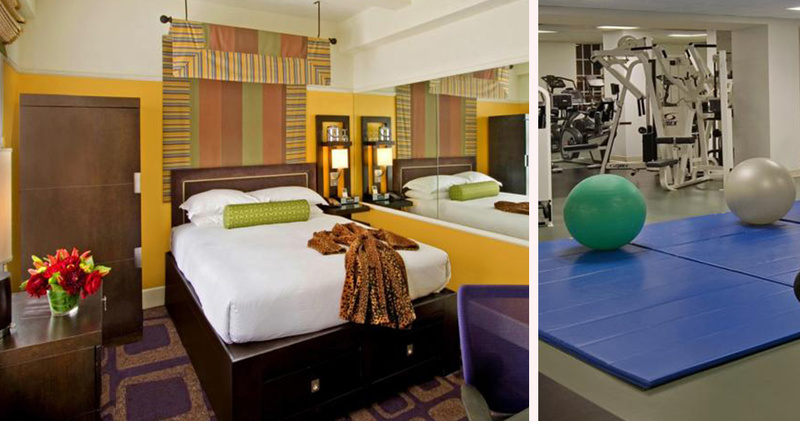 Located in the Financial District, Harbor Court Hotel is close to the Embarcadero and Ferry Building Marketplace. 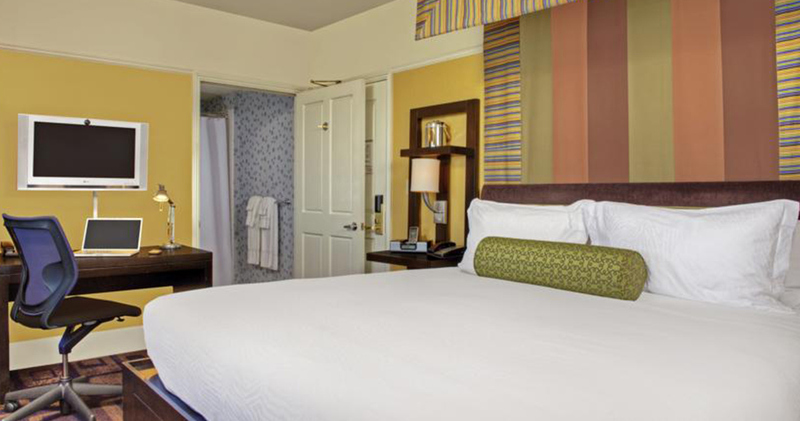 Set in the shadow of the Bay Bridge, this boutique hotel offers panoramic views of San Francisco Bay. With an edgy yet elegant design, the hotel is urban and stylish. 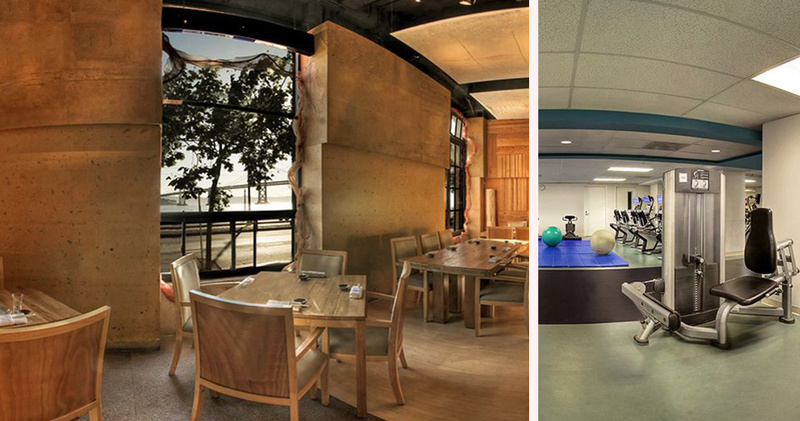 Its sophisticated lobby features contemporary furniture, rich colors and a roaring fire. A Kimpton Hotel, Harbor Court hosts evening wine receptions for guests to socialize. For late night snacking, courtesy cookies and milk are also served. Complimentary bikes are even available for guests wanting to explore the area on wheels. 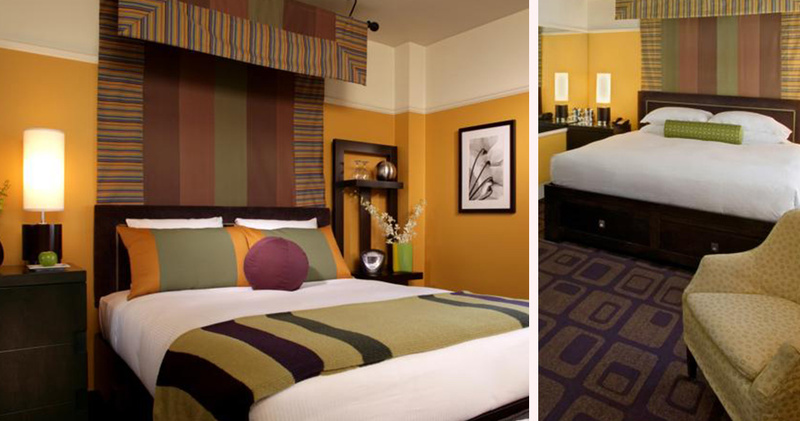 The guestrooms at Harbor Court Hotel are chic and contemporary, with plush carpeting and vibrant splashes of yellow, purple and green. 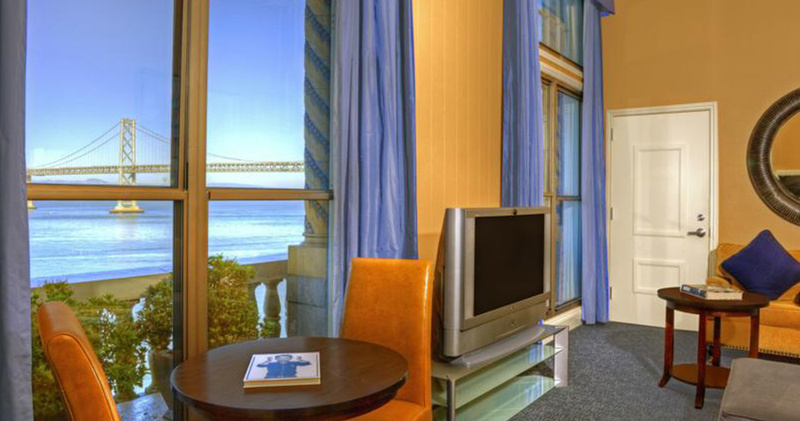 Each room offers sweeping views of either Treasure Island, the courtyard or Bay Bridge. The inviting beds are dressed in luxurious Frette linens, with an iHome docking system by the side. A spacious desk and comfortable chair are also included in each room, along with a well-stocked honor bar full of healthy, organic treats. 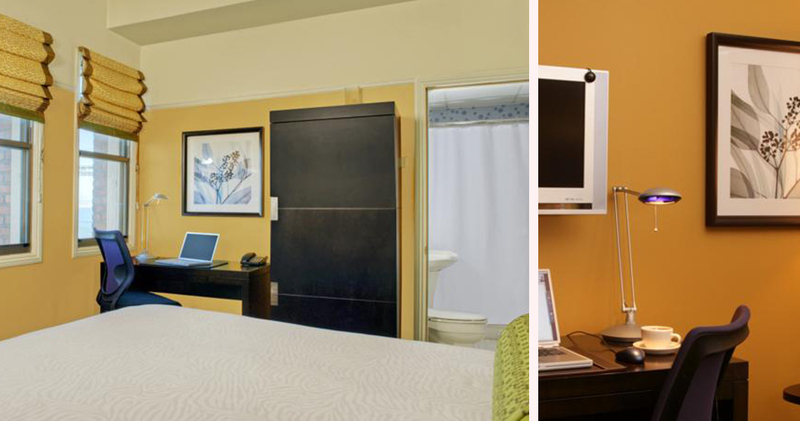 The bathrooms are well designed and feature Bigelow bath products and animal print bathrobes. 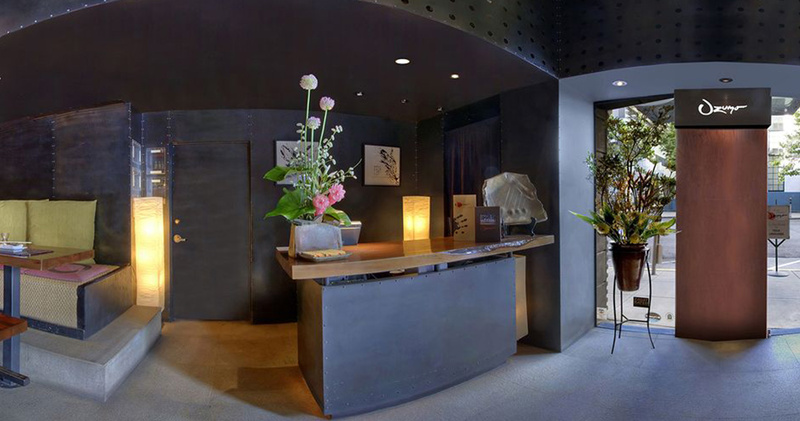 Harbor Court Hotel is home to Ozuma, a contemporary Japanese restaurant with stunning bay views. With its sleek and sophisticated decor, it has the air of a Zen garden. 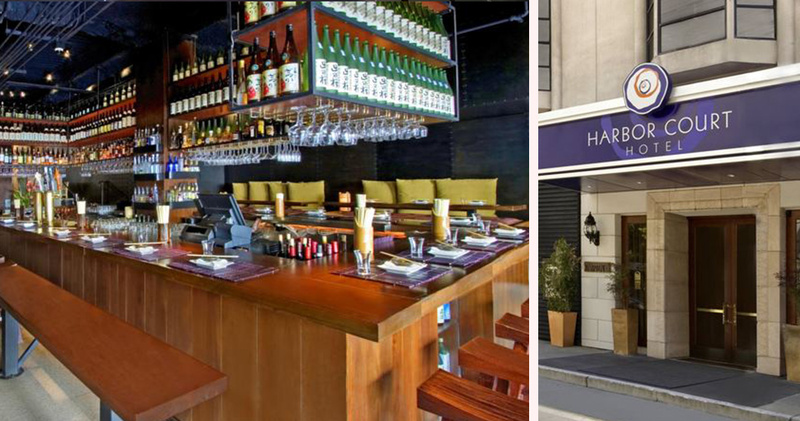 The restaurant features a sushi bar, dining room, sake lounge and robata grill. 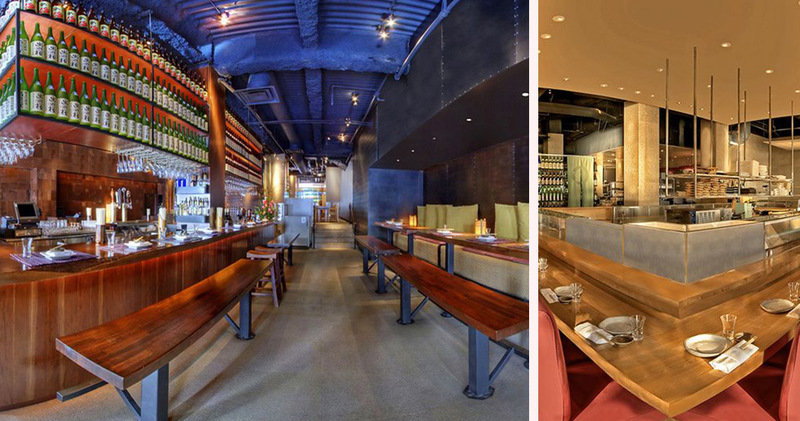 The restaurant’s impressive Sake list is the largest in North America. Located along the San Francisco Bay, the Embarcadero is a vibrant neighborhood packed with excellent restaurants and attractions. The area is known for being home to Pier 39 and the Ferry Building, two of the most popular attractions in the city. Visitors will find many stores, restaurants and street performers at Pier 39 while the Ferry Building is a great place to sample high-quality wines, cheeses and chocolates. Alcatraz Island is a boat ride away from Pier 39. Embarcadero also offers excellent views of the Bay Bridge lights. Some of the most popular attractions in the neighborhood are The New Exploratorium and AT&T Park, home to the San Francisco Giants baseball team.